Hi there! Today, we discuss of astrometry of the satellites of Jupiter. It consists in answering the question : where are they? Basically, you look at them, and you see where they are… well, it is more complicated than that, actually. This is the opportunity to present APPROX – mutual approximations between the Galilean moons: the 2016-2018 observational campaign, by Bruno Morgado and several collaborators. Since this paper presents an observation campaign, involving Brazil and France, there are many observers, hence many co-authors. This study has recently been published in The Monthly Notices of the Royal Astronomical Society. In fact, you can make astrometry of any celestial object. Star, satellite, galaxy, whatever… It is of course easier when the body looks like a dot. When we look at the celestial sphere, you look in 2D. The space is in 3D, but technically we see a projection of this volume on a sphere, which is called the celestial sphere. Since it is a 2D space, you can also consider two coordinates. Let us call them right ascension and declination. So, you want to know the motion of these bodies, you observe them, and measure their positions. The astronomers of the past, I mean in the pre-photographic era, used a filar micrometer. This consisted of a screw and a reticle, made of two threads. When observing two celestial bodies, the observer saw two lines in the field, that (s)he could move thanks to the micrometric screw, one on one body, the other line on the other body, and from the motion of the screw he knew the projected (apparent) distance between the two bodies. So, only one dimension at that time. And then came the photography: you take a picture of the field (small part of the sky), and you measure the coordinates of the bodies. This way you can get two coordinates. The techniques improved since then, with automatic surveys, taking automatic images of the sky, measuring automatically the coordinates,etc. It is for understanding the motion of an object. For instance, if you take a natural satellite, you know that it orbits its parent planet, following the classical gravitation law of Newton (improved since Einstein and the discovery of general relativity, but you do not need that refinement to understand the dynamics of the natural satellites). But first you have to make sure it is a satellite of that planet. If it follows it on the sky, then it is fine. And to simulate its motion, you must know some parameters, especially the mass of the planet, of the satellite, the flattening of the planet, the masses of the other satellites (yes, they disturb each other). Well, that becomes tricky. And this is why you need those astrometric observations. Your dynamical model depends on some parameters, you fit them to the observations, and then you have the masses. This way, you can say: OK, we have everything we need. Why still doing that once we have the masses? You can say that we need more accuracy, but once a spacecraft tours around the planet, it gives you all the data you need, doesn’t it? Including astrometric positions, and direct measurements of the masses. A spacecraft covers a pretty limited time span. You would need observations outside of that range, even less accurate, to detect a drift between the dynamical model and the real motion. And that drift would mean that something significant is not in the model, or maybe it is, but not accurately enough. And this comes to my second argument: the dissipative processes, especially the tides. During centuries we could consider that celestial mechanics was a conservative discipline, in the sense that there was no dissipation to consider. Of course, we knew there was some dissipation, otherwise it is physically irrelevant, but that dissipation was so small that at that time you could safely neglect it. Not any more. Let us be more specific about tides. The parent body (Jupiter for the Galilean satellites, Saturn for its satellites, the Sun for the planet) exerted a differential torque on the volume of the small one, which generates stress and strain. In an extreme case, i.e. close enough to the planet (inside what we call the Roche limit), bodies can be destroyed (and this gives you the rings of Saturn). For the classical satellites of the giant planets, the dissipation appears as volcanoes on Io, fractures on Europa, geysers on Enceladus. And in ephemerides (i.e. orbital motion) the induced energy losses result in secular (i.e. a very slow drift) migration over the ages. 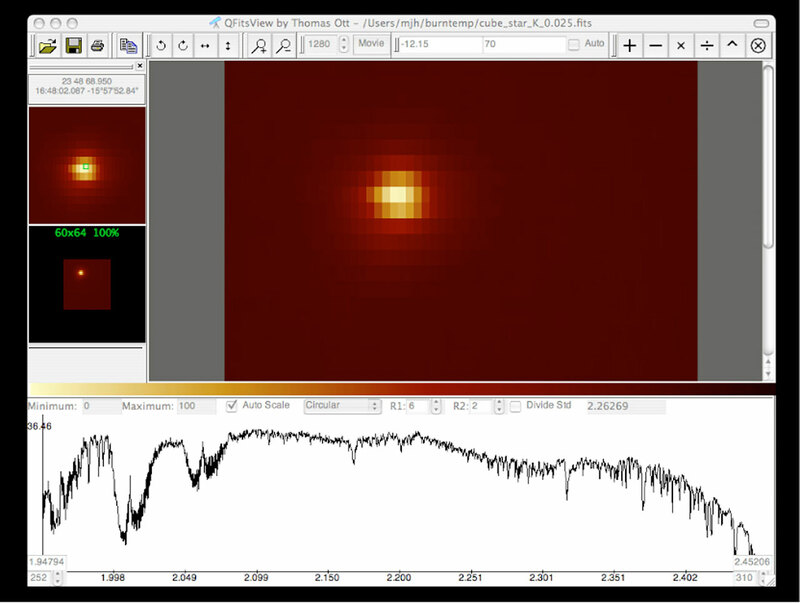 And we are now accurate enough to detect this tidal effect on the Moon, and in the systems of Jupiter and Saturn. Numbers regarding this effect tell us how the planetary material reacts to solicitations, and permits us to extrapolate the migration, i.e. know the past and future of these systems. Now let us go back to techniques of astrometry. 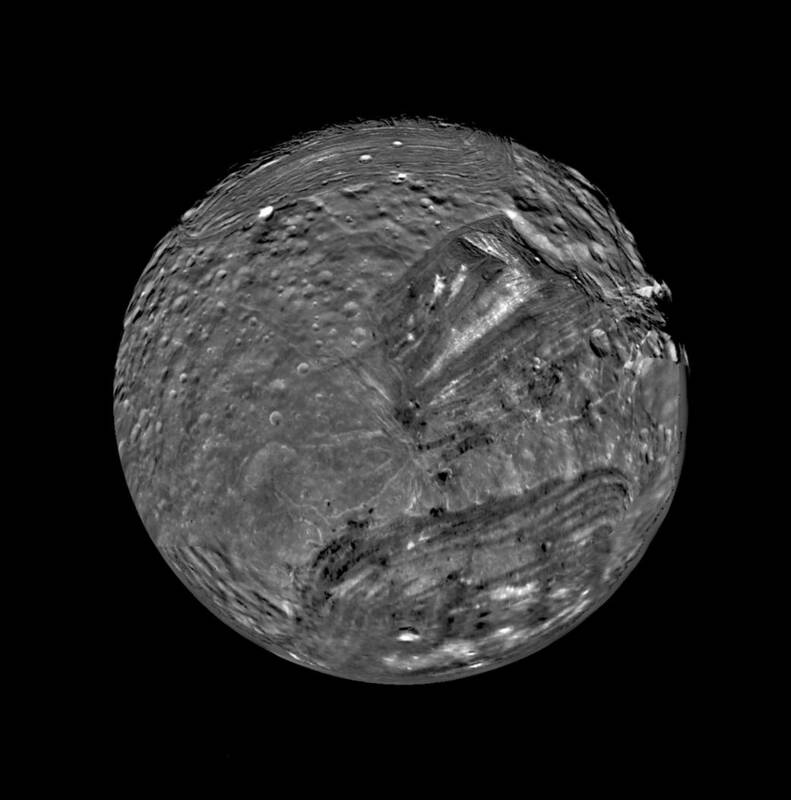 When you measure the coordinates of a celestial body, you need an origin, i.e. a zero, which is a reference. But the reference is usually not present in your field of view, which is limited (one degree is a huge field). Fortunately, we can use the background stars as references. The stars are catalogued with their coordinates, and so if you have e.g. 20 catalogued stars in your field, then you have 20 points, which you know the coordinates. And this gives you the coordinates of the other points, i.e. the Solar System bodies. Making catalogues of stars is not an easy task. 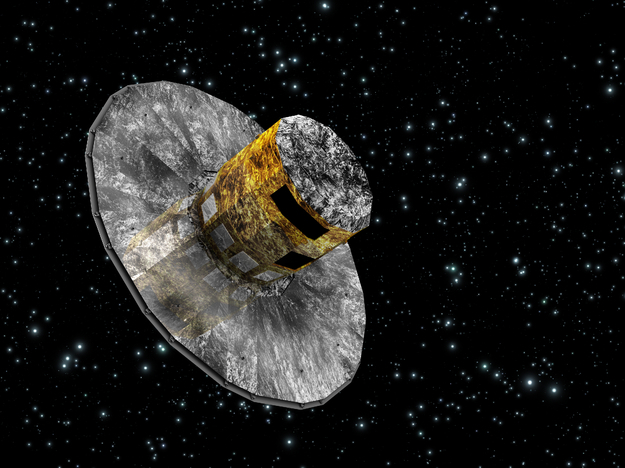 ESA’s space observatory Gaia is on it! Differential astrometry is an alternative: for instance if you work on the natural satellites of a given system (let us say the Galilean satellites of Jupiter), it could be enough to know where the satellites are with respect to the other ones and to the parent planet. So, you make differential astrometry: you measure the difference between the coordinates of two given bodies. As I told you, it is a little more complicated than just taking a picture. You must do it properly. Let us see that now. Of course, your sky should be clear. But this is not enough. When you take two pictures of an object, which does not move, will they put you the object at the same location? Not necessarily! Because of the seeing, which is due to the wind (the atmosphere), and which kind of noises your images. But this is not enough: you are not sure that all of the pixels of your camera have the same response. Of course they should… if only they could… You always have instrumental problems. You can partially compensate that by making a flat fielding, i.e. you take an image of a starless field (for instance before opening the dome) and this gives you the response of the sensors. Another problem comes from the fact, that these bodies are not dots. You need to know where the center of mass is… which is not the center of figure, because of a phase effect. When you look at the Moon, it is usually not the full Moon, since part of it is in the umbra… the same happens for the other bodies. Beside this, there are problems due to the anisotropy of the reflection of the light on the surfaces of the satellites. And let me finally mention timing problems: you do measure a position at a given time. But you need to be exact on that time! If not, then your measurement is inaccurate. In other words, you need to care for errors in positions and in time. If you record your images with a laptop, the internal clock may drift by several seconds. I can tell you that from my experience. So, you have to check it constantly. You can have an accurate clock with GPS systems. I hope you are now convinced that astrometry is truly a science. Other astrometry techniques than taking pictures exist. For instance, you can look for occultations: when an asteroid occultates a star, you do not see the star anymore. Since you know where the star is, you know where the asteroid was during the occultation. 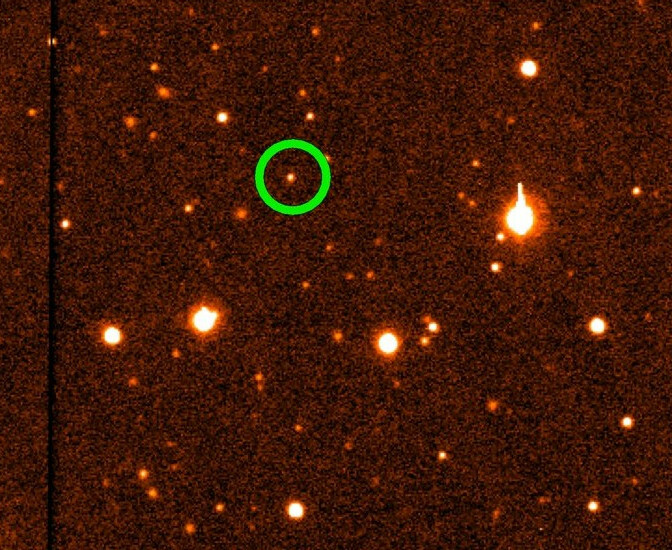 This technique also permits to get clues on the shape of the asteroid, with multiple observations, and sometimes even detect asteroids and rings. See here. In the specific case of this study, the authors developed a technique, which is based on the timing of a minimum of the apparent distance between the two satellites. When two satellites are close to each other in the sky (I mean, in projection onto the celestial sphere), you reach a so-called precision premium, i.e. you optimize the accuracy of the measurements. The reason is that your measurement does not suffer from the field distortion. The two dots are so close that you have the same problems for both. So, the differential measurement is not affected. Here, the authors measure the timing of the minimum of distance, from which they can determine a position, knowing the relative motion of the satellites from the available orbital theories (the ephemerides). Measuring this instant is not trivial, since actually it has no reason to correspond exactly to a recorded data. So, you take a series of images, on all of them you measure the distance, you plot it with respect to the date. And then you fit a polynomial function to the obtained data; the instant you measure corresponds to the minimum of your polynomial. The authors published this technique two years ago, and this paper present a campaign of observations. 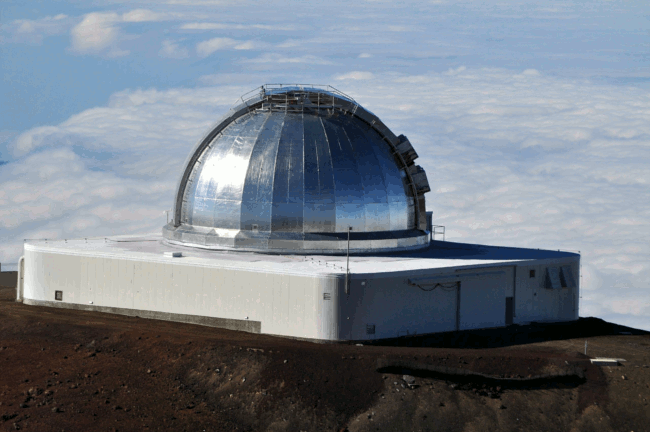 and the Observatoire de Haute-Provence (France), equipped with a 120-cm telescope. These facilities permitted the determination of 104 central instants, which obviously means that some events, in fact 28 of them, were observed at least twice, i.e. from different sites. All of these telescopes were equipped with a narrow-band filter centered at 889 nanometers. This eliminates the light pollution by Jupiter. The authors get a mean accuracy of 11.3 mas (milli-arcseconds), which is ten times more accurate than classical observations. A good way to determine this accuracy is by a statistical comparison between the measurements, and the numbers predicted by the theory. At this distance, i.e. the distance to Jupiter, 11.3 mas means 40 km, which is much smaller than the radii of these satellites (Io, Europa, Ganymede, and Callisto). 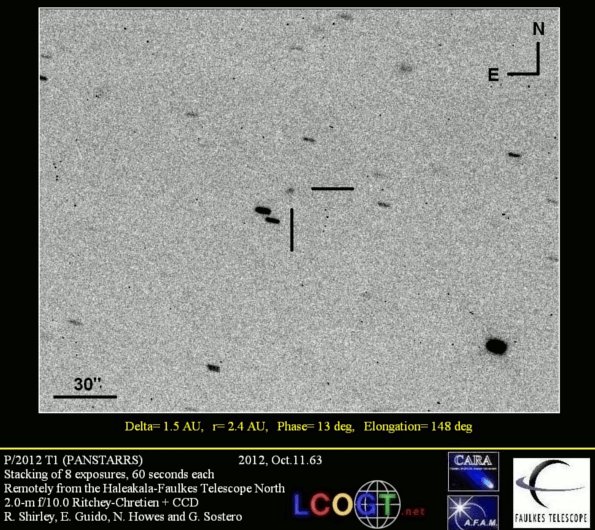 So, you see, this is a very promising technique, and supplementing the database of astrometric observations with such high-quality data can only lead to new discoveries. You can find the study here. The authors made it freely available on arXiv, many thanks to them for sharing! Let me now introduce them. and the ResearchGate profile of Othon Cabo Winter.